Tom Cull at ianfleming.com tours London and examines Ian Fleming's career as a journalist, before he found fame as the author of the James Bond thrillers. On a quiet Sunday in the City of London recently, I re-traced some of Ian Fleming’s old haunts during his journalism and banking days, including what used to be the Reuters building at The Royal Exchange. It occurred to me that it was here that Ian Fleming got his first taste of writing professionally. 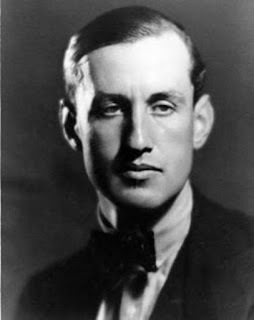 Throughout his career, journalism formed an important part of his research and inspiration, before finally becoming a way to remain ‘part of the action’ after the war. His well-documented 2 month break in Jamaica to write his James Bond novels was a feat of discipline and economy; writing quickly and accurately and never looking back, trusting totally in his technique. Many writers, including the prolific Raymond Chandler, found this timetable astonishing. He asked Ian in an interview in 1958 how he could write so quickly with all the other things that he did, and remarked that the fastest book he ever wrote was in 3 months. So, from where did Ian Fleming acquire this skill?